呼嚕呼嚕風兒吹Woo Woo the wind blows. 地上小草青青翠The small grass on the ground with the color of jade. 手中線輕輕揮Gently waving the string in their hand. 牽著風箏翩翩飛Holding the kite as it gracefully flies. 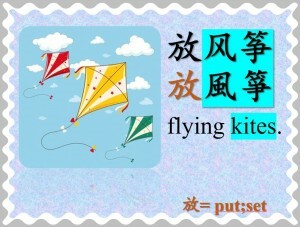 小小風箏天上飛Little kite flying in the sky. 我和雲兒一起追 I chase the kite with the cloud. 好朋友一對對Good friends are a pair. 嘻嘻哈哈春風吹 (The spring wind blows joyously). Hahaha the spring wind blows. 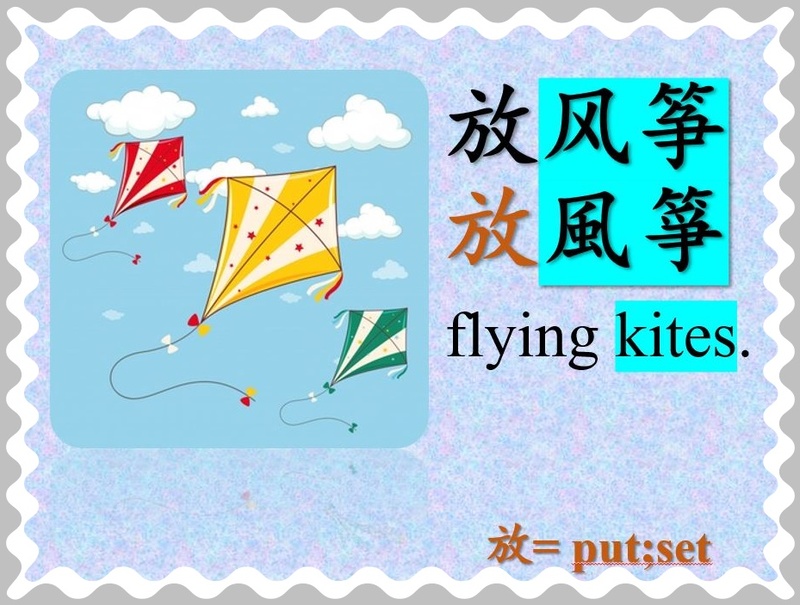 嘻嘻哈哈風箏飛 (The kite flies joyously). Hahaha the kite flies.